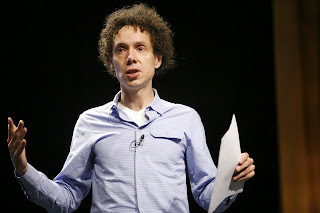 I like Malcolm Gladwell, but I didn't think that much of his recent video on Ted Talks. It is a good reminder that even brilliant people can have poor approaches to scripture. What Gladwell does in his books is to upend conventional wisdom and his new book, David and Goliath, discusses why we consistently underestimate underdogs. The book is not really about the story found in 1 Samuel 17, although he does address the story in his Ted Talks video. There, he describes to his audience how we should not have been surprised that David defeated Goliath. “All he had was a sling,” is our first mistake, because we underestimate David’s choice of weaponry. The sling was a legitimate weapon of war, not a child’s slingshot, and the Shephelah, where the battle took place, has especially hard rocks. The second point is that Goliath was dressed as heavy infantry, and expected David to fight him in close combat. But why would David do that? Rather, David chose a strategy that suits his abilities. Where I really start to have difficulties, is Gladwell’s medical diagnosis of Goliath’s symptoms: acromegaly, or a tumor on the pituitary. Gladwell notes that David is carrying one staff, but the giant taunts him, saying that he has brought "sticks." He sees this as evidence of double vision, an effect of the tumor pressing against the brain's visual nerves. Further, people with this tumor are nearsighted, and Goliath calls for David to come near. Why? Because he cannot see him. Gladwell has approached this story as many have approached biblical texts, wanting to provide rational or natural explanations for what the story presents as miraculous or accomplished by God. For example, some have tried to explain away the plagues in Egypt as an algae bloom (red water), which led to an abundance of flies, frogs, and dead animals, etc. 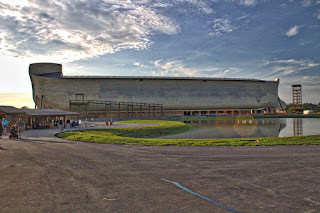 Other examples are attempts to explain Jesus' walking on the water (there was a sandbar), Korah being swallowed by the earth (plate tectonics, of course), the multiplication of food (people were compelled to share their hidden food), and even Jesus' resurrection (he was comatose, not dead). The problem with this type of approach is that it is neither fish nor fowl; it is the uneasy product of a fundamentalist reading of the Bible by one who doesn't believe in the supernatural. Gladwell is reading the Bible from what is functionally a fundamentalist perspective. First of all, he assumes that this account describes an historical event, rather than a legend or a literary trope demonstrating the exploits of a young hero (in the manner of Paris, for example). Furthermore, he is assuming that the very dialogue between the combatants was faithfully recorded and the descriptive elements accurately portrayed. I think even very conservative biblical scholars would say that things such as dialogue are unlikely to be historically accurate. Yet, while he is reading in a fundamentalist manner, he seemingly does not believe in divine intervention. While following the narrative closely, when the text attributes David's victory to the power of 'the God of the armies of Israel,' Gladwell leaves the narrative and puts forward his list of reasons for David's success. I don't know whether our ancient storyteller believed that this was an historical account and that he was faithfully transmitting the details and dialogue. What I do know is that, in his description of the Philistine champion, he was not trying to describe Goliath as a lumbering, nearsighted, lump of a man who could easily be defeated by a boy. Our storyteller was trying to convey that the God of Israel was with this particular boy, empowering him to defeat the powerful enemy. To be clear, I do not think that one needs to believe in divine intervention to properly read the Bible; it is enough to recognize that the storytellers in ancient Israel did. I suggest that when we read narrative accounts that depict divine power, and use rational explanations to describe how they happened, we are misreading those texts. That approach misses the entire theological point and is left only with the pitfalls of fundamentalist interpretation. Thanks, Isaac, for your thought-provoking article. However, I'm not sure that what Gladwell does removes God from the equation. His purpose is not to disprove God's intervention, but to explain the genius of the underdog, and specifically of how David defeated Goliath is a prime example of this. Gladwell still leaves plenty of room for God's hand. That is, unless your understanding of "God's hand" is supernatural only. But the Biblical God also works in and through nature itself, of course. Gladwell's reading does not discount all of the ways God could have worked to empower David to "defeat the powerful enemy," including David's courage to volunteer to fight, to fight without armor, the Israelites' willingness to put their fates in the hands of a shepherd boy, etc. Furthermore, Gladwell's overarching theme that the underdog is underestimated actually seems to also be the overarching theme of the Bible. "The last shall be first," of course. And Jesus riding into Jerusalem on a donkey may as well be a big parade to the apparent underdog who should not be underestimated. Mr. Gladwell may not have intended his reflections as a spiritual meditation, but I'll take it anyway. Thanks, I appreciate the comment. I guess you can see there the things that you have noted, but as I listen to Gladwell (and read the convenient transcript, another reason I like Ted Talks) I think he is trying to get us to see the flaws of the whole David v. Goliath narrative we have created. His reading of the story here really focuses more on the weaknesses of the foe, rather than the genius of the underdog. He concludes, “What they didn't understand was that the very thing that was the source of his apparent strength was also the source of his greatest weakness.” (In an interview (on NPR’s Marketplace) he talks about Microsoft as a ‘giant’ that had inherent weakness.) I just don’t think our story teller had this at all in mind, but rather wanted to show a great victory brought about by God, not one that we should have seen coming if we only had looked closer. Thanks for bringing some light to the situation. I believe Gladwell has good intentions but a Bible scholar he is not! I don't care for the fact that he picked and chose parts of the text to serve his intention while negating some very important aspects of the narrative. Gladwell tries to depict Goliath as the true underdog and in doing so leaves out the verses that tell us Goliath was a grown adult man who had been a warrior from his youth; little doubt he had done his share of killing! Secondly, if Goliath truly was the underdog, why was the entire Israeli army terrified of him? Could no one else in the whole army not use a sling? "Slingmen" were not a rarity according to Gladwell, yet for forty days the Israeli's cringed at Goliath's daunting presence and daily berating. Also left out, great riches and wealth and Saul's daughters hand in marriage was offered to the man who would slay Goliath. Logic would lead us to believe that if Goliath was not a huge favorite certainly someone would have stepped forward to take the inheritance; hmm perhaps Saul's daughter was not desirable? Next, David was put down by his brothers for being "insolent" in his inquiring about Goliath. His brother took it as an insult that David thought he could do something about the problem, thus inferring that David was considered "cocky" and "arrogant" to think he could face Goliath. The living reality and interpretation on the part of the Israelite army was that Goliath was a killer, and anyone going out to face him would be slain and bring about the slavery of all Israelis to the Philistines! Furthermore Gladwell states that Goliath called David to himself because he was too cumbersome to go get the boy. I believe it was more that Goliath was offended with the situation, and this is quite clear in Goliath's words. The tone on behalf of Goliath is more in the frame of "this is such a joke, come here boy so I can cut your head off". 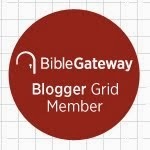 Evidence for Goliath not being able bodied is basically non-existent, and the idea of such is flatly refuted when Goliath, in response to David's perceived defiance, verse 48 tells us, "the Philistine arose and came and drew near to meet David". Personal opinion...I have a strong disfavor for using the word of God for one's one personal "gospel" or philosophy. Gladwell has a great story, and a springboard for a bestseller thanks to God! Happily the true story is much better than the one depicted by Gladwell. David was a true underdog, who God had prepared in the precision use of a slingshot, to achieve something "dynamic". The Biblical message, we are underdogs, yet with a spirit of faith and courage God is willing to help us overcome the Goliath's in our lives. And by chance it may just be by helping us identify and using what He has blessed us with, slingshot or otherwise!